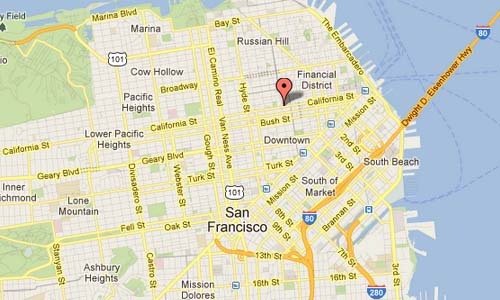 California Street is a major thoroughfare in San Francisco, California. Fifty-four blocks of California Street, from Van Ness Avenue westward to 32nd Avenue, comprised the last major leg of the final 1928 alignment of the Lincoln Highway, the first road across America, leading out to the highway’s western terminus in Lincoln Park. 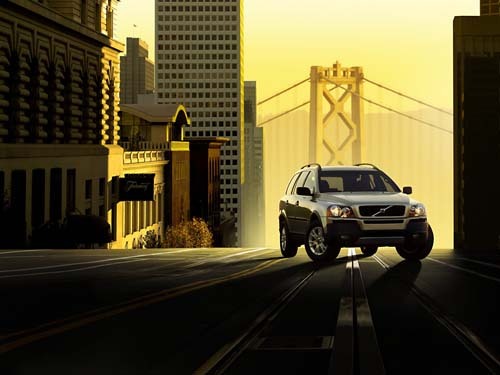 California Street is one of the longest streets in San Francisco, and includes a number of important landmarks. It runs in an approximately straight 8.4 km east-west line from the Financial District to Lincoln Park in the far Northwest corner of the City. 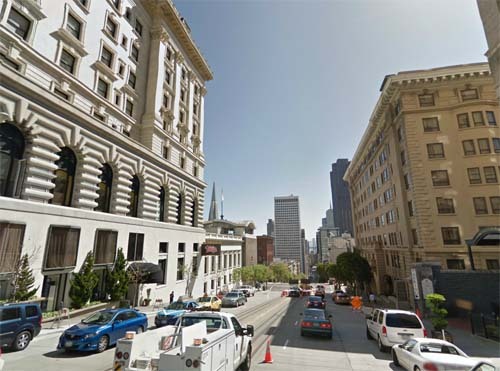 On the left side, The Fairmont Hotel San Francisco is located, a luxury hotel at 950 Mason Street, atop Nob Hill in San Francisco, California. The hotel was named after mining magnate and U.S. Senator James Graham Fair (1831-1894), by his daughters Theresa Fair Oelrichs and Virginia Fair Vanderbilt who built the hotel in his honor. The hotel was the vanguard of the Fairmont Hotels and Resorts chain. The group is now owned by Fairmont Raffles Hotels International, but all the original Fairmont hotels still keep their names. It has been featured in many films, including Petulia and The Rock. Exterior and interior shots of the hotel were used as stand-ins for the fictional St. Gregory Hotel in the 1983 television series, Hotel. 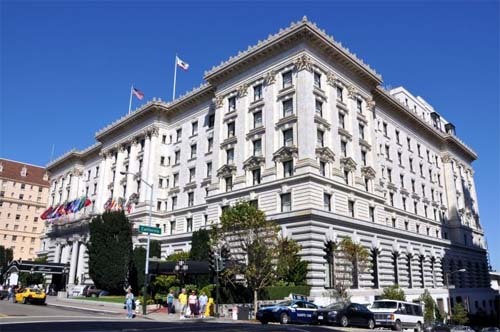 The Fairmont San Francisco was added to the National Register of Historic Places on 17 April 2002.